After a fall from a horse she was training on September 1. 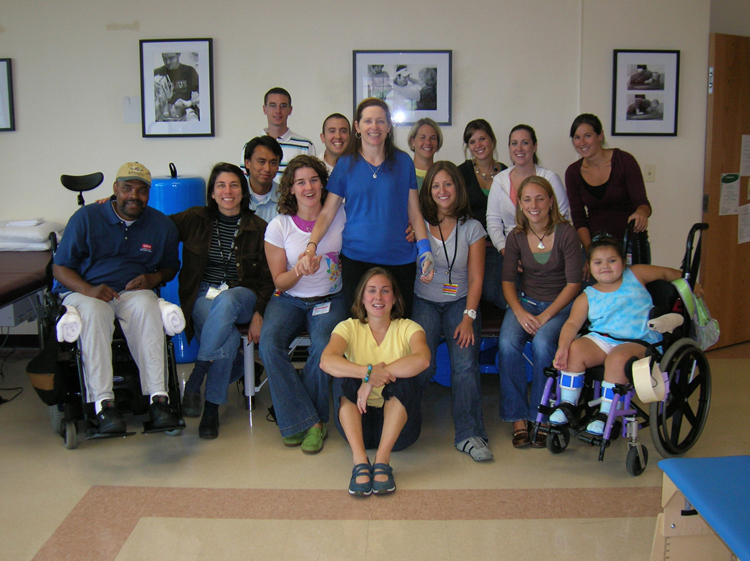 2004, that resulted in fractures of her 4th and 5th cervical vertabrae, Peggy spent 2 weeks at Shock-Trauma. From there, she spent two and a half months at Kernan Hospital for intense therapy. 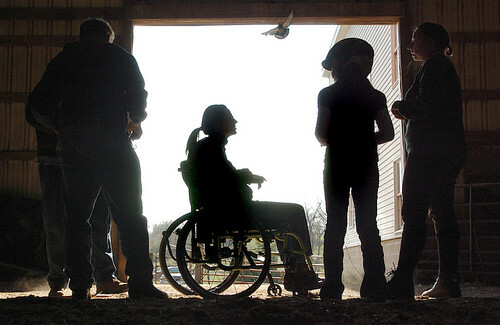 After discharge from tthere on Nov. 22, Peggy resided at a nursing home, finally coming home to the farm on February 28, 2005 - 6 months after the accident! While Peggy was away, Cassie ran the everyday operation at the farm with so much help from friends and family. Unfortunately, recovery was slower than she hoped and her dishonest landlord's hidden agenda made it impossible to continue making a living at the farm. After much thought, the heartbreaking decision to close down Starstruck Farms was made. In August, 2005, Peggy moved to an apartment in Towson after relocating her remaining horses. Cassie retained two of their homebreds and leased out her beloved Paradoks. 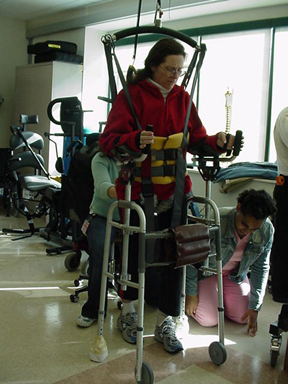 In September, after a wait of several months, Peggy started a new therapy program at Kennedy Kreiger Institute, headed by Dr. John McDonald (Christopher Reeve's dr.) This revolutionary program has helped Peggy regain much muscle strength and function. The New Year finds her taking steps with her right leg in a partial weight support harness on a treadmill and pedalling an FES bike for an hour straight as a form of cardio exercise. Peggy started riding horses in April, 2006 at a therapuetic riding program, Freedom Hills. Here's a link to a Baltimore Sun article published April, 2006.